You’ve been seeing this guy for a while, and he has been hinting that he is ready to take the relationship to the next level. But, you just aren’t sure if he is the one for you. It’s alright to question your relationship. Maybe, it’s not the right time or you just aren’t feeling that emotional connection that you really need. You used to look forward to his phone calls at the end of the day, but now they just exhaust you. It used to be exciting to hear about every last detail of his life, but now it’s just boring. You’re not quite sure how this happened but it did. Read more: Is He The One Who Got Away? Here's How To Know For Sure. What will you do? You can’t decide if he’s the one. You’ve been hurt in the past, and you wonder if you can now pick a good one. You need to realize you have grown since your last relationship. You are more insightful. You have a better idea of what your red flags are. That is really a good thing. You don’t want to settle, and you don’t have to. You can trust your gut. You know what you don’t want. He loves me, he loves me not. This is one of the most important decisions that you will ever make in your life. How will you know if he’s the one? It’s not as easy as picking petals off a flower, like you did when you were a child. It’s actually a good thing that you are questioning the relationship. How do your friends and family feel about him? Would you bring him around your friends and family? I’m sure you know where I’m going with this. But, there is still much more to this. Is this the guy you want to grow old with? Now, I’m not talking about how much money he makes or where he went to college. What does your gut tell you? This isn’t about those nice to have qualities. This is about the qualities that he MUST have. Dating can be tricky. What should you wear? Where should you meet? Who should pay? Should you offer to pay? What should you eat? And, the list goes on. How many questions for a first date can you have? Try not to worry too much on a first date. Remember, this doesn’t have to be the person that you marry. Look at the first date as an interview. You are getting to know someone new. Try to have fun and not be too serious. There are definitely a few rules to follow. Don’t talk on your cell phone. Don’t do all the talking. And, ask your date questions. This will help your date open up and feel that you are genuinely interested in them. If you won the lottery tomorrow, what is the first thing you would buy? Do you have any siblings? If so, are you close with them? Do your parents still live in the house you grew up in? What is your social life like? Do you have a big group of friends or a small group? You’ve been dating this guy for a while. Things are starting to get serious. You don’t want to see anyone else. But, you just aren’t sure if he’s the one. There are always pros and cons in a relationship. But, the right relationship can be amazing. If you want to get serious, then you need to know what you want. If you don’t, you will end up getting hurt. This is a time when you want to listen to your gut. It’s alright to listen to your friends and family. But, in the long run this is the guy you will spend the rest of your life with. So, make sure you take that into consideration. You know that he gets you. This is what you want most in a relationship. You want to feel that he understands you. This is when you know he has your back, no matter what. You have fun together, doing the simplest of things. You enjoy running errands together on Saturday morning. You don’t mind staying in with him, and watching a movie. You don’t feel like you have to hide your flaws. He has seen you at your worst, and he has still stuck around. You know you are going to mess up, and that’s feels alright. Initially, you felt like this guy was the one. You’ve been together for a while. He has met your friends and family. But, lately you have had mixed feelings about him. You love him, but it just feels different. You are beginning to wonder, if he is the one? So, why have you stayed with him, when you’ve had this feeling. Maybe, it took you a long time to meet him. He comes around a lot. He creates a sense of safety for you. We all want to be in a committed relationship. We want to feel loved, and be able to give love. But, you need to be careful. Staying with the wrong guy can be a big mistake. I know this is a hard one for you. You’ve been seeing this guy for a while, and he has been hinting that he is ready to take it to the next level. But, you just aren’t sure if he is the one for you. It’s alright to question your relationship. Maybe, it’s not the right time or you just aren’t feeling that emotional connection. You used to look forward to his phone calls at the end of the day, but now they just exhaust you. It used to be exciting to hear about every last detail of his life, but now it’s just boring. You’re not quite sure how this happened but it did. We all have that one person you call, “the one that got away.” In the beginning, you thought he was great. You just couldn’t get him out of your head. But, when the time came to commit, you got cold feet. Perhaps, you just weren’t ready for a commitment. He’s probably moved on. So, why haven’t you? Maybe, he wasn’t that into you. He didn’t deserve you, and you shouldn’t waste your time on him anymore. I doubt he is sitting at home worrying about you, eating a pint of ice cream. Try to remember the good times. When a relationship ends, it’s easy to focus on what went wrong. You probably had a good time with him, and experienced things with him you had never experienced. Try to appreciate those memories, for what they are. 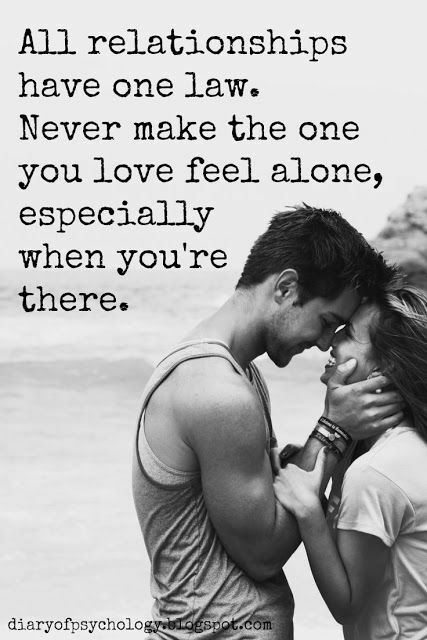 Read more: 6 Reasons Why Not Knowing If He's The One, Is Hurting You? Read more: How Do You Know If He's The One?